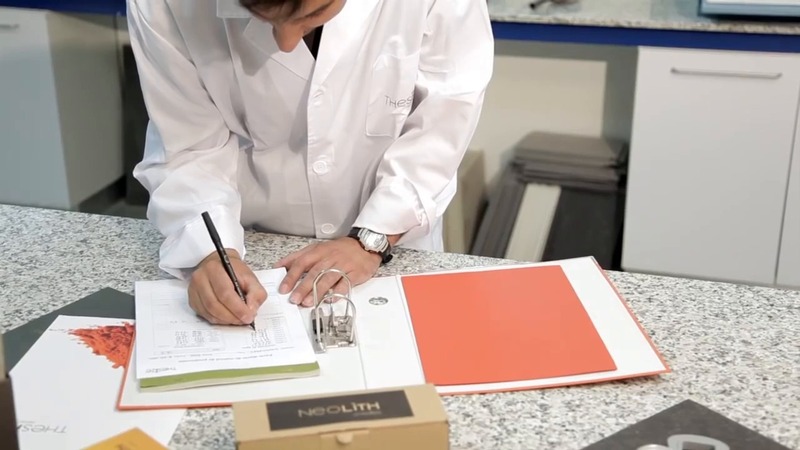 Neolith® is a brand of premium Sintered Stone designed and manufactured by TheSize. Neolith® is 100% natural and an ideal material for interior and exterior applications. The product has near-zero porosity, easy to clean and impervious to chemicals, as well as resistant to heat, scratches, and wear and tear. The material is created by Sinterisation, an innovative technology, exposing minerals and raw materials to extremely high pressure and temperature (over 1200 degrees Celsius), resembling the way natural stone forms over thousands of years, in just hours. This way, the authenticity and sophistication of real materials with the excellent technical and mechanical properties of Neolith® are merged. The various style collections are a result of Neolith®'s innovative Digital Design (NDD) decoration technique. NDD has revolutionised the design possibilities of ceramic slabs, pushing the boundaries of texture, pattern and colour. Neolith® permits richer detail and increased authenticity. The Neolith® range also features full-body technology. Selected slabs integrate the same colour and design throughout the body for a greater aesthetic effect. Neolith® is an ideal material for renovation projects, since it can be applied directly to already existing surfaces, providing cost and handling time benefits. Neolith® slabs are also available in custom sizes for bespoke projects. Neolith® offers the largest existing Sintered Stone on the market. The availability of two large formats, measuring 3,200mm x 1,500mm and 3,600mm x 1,200mm, allows for greater uniformity, continuity, easier handling, and a minimal number of joints for aesthetic and hygiene benefits. Available in industry standard formats, Neolith® is also lightweight, with a 3mm board weighing 7kg/m², and a 12mm option at 30kg/m². Neolith®'s range of thicknesses accommodates a variety of different purposes. For furniture and interior wall cladding, using 3mm is recommended, while 6mm can be used for interior and exterior flooring, and exterior tiling purposes, such as ventilated façades. 12mm is reserved for more demanding projects such as kitchen worktops.